create a index.html page to include angular.js,angular-touch.js and angular-animate.js and also include css. 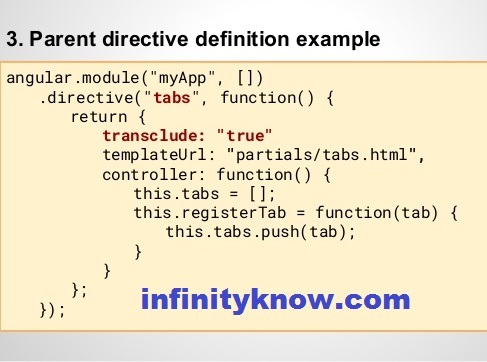 Now create a module(infinityknow) this is a module name in angularjs application.then create a controller.like as a controller (infinityknowCtrl) name in this app. Last include file app.js it’s a main part of angularjs application.means custom js include in index.html page. Gridview mostly used ui-grid in this angularjs application.